Multi-platinum Irish/Scottish five-piece Snow Patrol release their sixth studio album ‘Fallen Empires’ on Fiction Records on 14th November 2011. Recorded in Los Angeles with long-time producer Garret ‘Jacknife’ Lee, ‘Fallen Empires’ features the hit ‘Called Out In The Dark’ and stunning new single ‘This Isn’t Everything You Are’. Snow Patrol - singer Gary Lightbody, guitarist Nathan Connolly, bassist Paul Wilson, drummer Jonny Quinn and keyboardist, Tom Simpson - recorded ‘Fallen Empires’ at Eagles Watch in Santa Monica. Tracks were mixed at the studio owned by ‘Jacknife’ Lee, a hacienda in Topanga Canyon, the one time hippy commune and former home to Neil Young and Woody Guthrie. Backing vocals were recorded by the LA Inner City Mass Gospel Choir in Compton, and Troy Van Leuwen from Queens Of The Stone Age provides additional guitars on two tracks. The result is a 14-track album that breaks new ground for Snow Patrol. Bolting distorted, electro guitar riffs, club-friendly drums and anthemic choruses to Gary Lightbody's heart-bruised lyricism, ‘Fallen Empires’ takes its cues from LCD Soundsystem's ‘The Sound Of Silver’, U2's ‘Achtung Baby’ and Arcade Fire’s ‘The Suburbs’. Despite the experimentation, ‘Fallen Empires’ retains the essence of Snow Patrol’s appeal. The catch-all emotional dynamics are still there: the soulful ‘New York’ feels like a festival moment-in-waiting; ‘The Garden Rules’ a soundtrack to autumnal romance, and in ‘This Isn’t Everything You Are’ Snow Patrol have created another starkly beautiful masterpiece, the equal of their classics ‘Run’ and ‘Chasing Cars’. 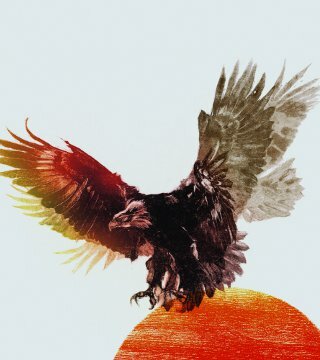 ‘Fallen Empires’ then, is a suitably weighty follow-up to 2008’s ‘A Hundred Millions Suns’ and the million-selling 2009 collection ‘Up To Now.’ Quite simply, it is their best record to date and promises to redefine Snow Patrol as an altogether more ambitious, more expansive, creative force. Snow Patrol today announce concert dates in Dublin and Belfast. will get the chance to enter an exclusive ticket pre-sale for the upcoming UK and Ireland tour.